As enumerated in the Star Falcon thread, Star Force supports a wide variety of vehicles within its aerospace division. Aside from the Star Falcon, perhaps the most notable fighter craft to leave the factories of United Star Fighters Inc. is the Star Phoenix Class Star Fighter. 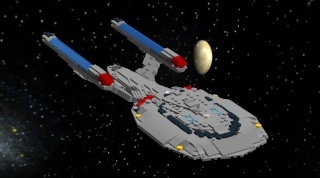 This specific model is the Star Phoenix IV. This latest incarnation to the iconic line further emphasizes the differences between the Falcon and the Phoenix. 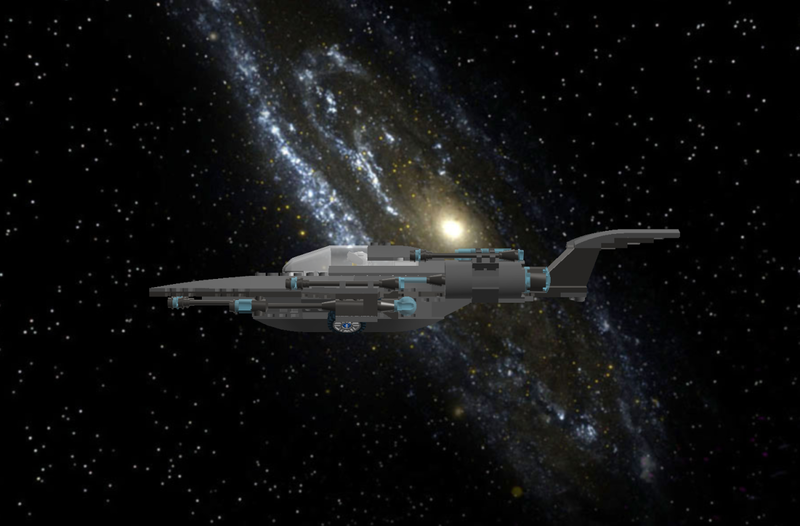 The Star Phoenix III was in ways, like a smaller Star Falcon, in terms of bulk and weaponry. The Star Phoenix IV rectifies that. Around 3 meters shorter than the previous Star Phoenix, as well as with two guns less, revised engine mounts, a more structurally rigid tail, a larger torpedo bay, more storage room in the cockpit, and maintaining the basic Star Phoenix silhouette, this latest Phoenix should seem like a worthy fighter. Armed with six light phaser cannons (two engine mounted drawing power when the engines are online, two on the wingtips, and two on the nose prongs), two medium phaser cannons, four micro torpedo launchers, and four regenerative missile launchers, the Star Phoenix is well armed. However, like the Star Falcon, only selections of the total weapons should be fired simultaneously. In terms of defense, the Star Phoenix utilizes standard shrink wrap particle deflector bi-shielding and ablative armor plating to protect its already very rigid structure. Regarding mobility, the Star Phoenix is capable of warp drive. In sublight speeds, the Star Phoenix is only somewhat slower than the Star Falcon, even though the latter has two extra engines. This is due to the Star Phoenix's lighter weight. When it comes to agility and maneuverability, the Star Phoenix can turns much sharper and quicker than the Star Falcon. 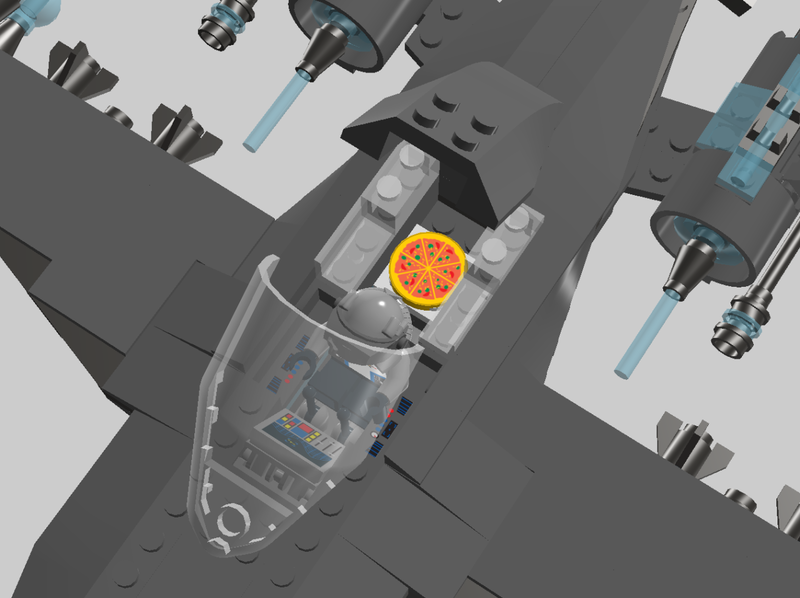 As for practicality, the Star Phoenix is able to fit one and a half pizza pies in the storage hold, so it must be practical. WHY in the Alpha Quadrant did the PCG ever leave the UFP?!?!?! Pizza is WAY better than phasers. I agree with Dino: Sleekness, speed, sufficient weapons, coolness, and pizza to boot. Definitely your best. 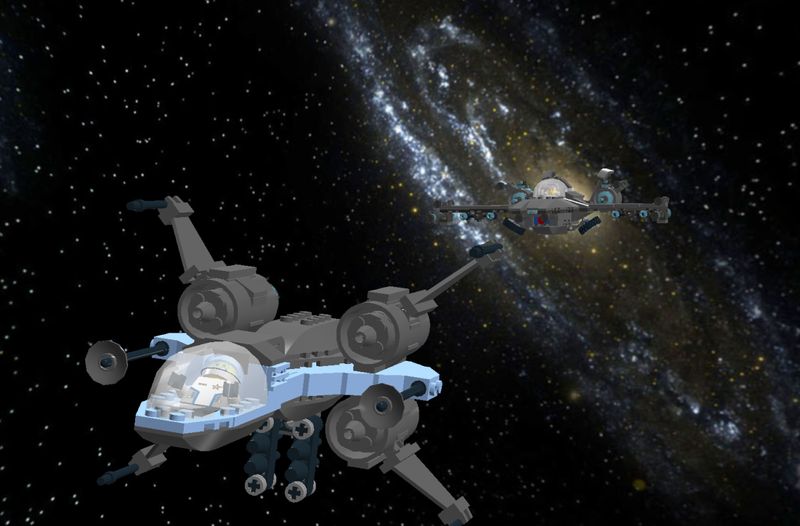 Though I must say I'm curious, what's that dark grey/light-light blue starfighter/shuttle/gunship in that one pic? I'm not familiar with it at all. Thank you Dino and Arik. :)Forgot to mention two things tho. 1. 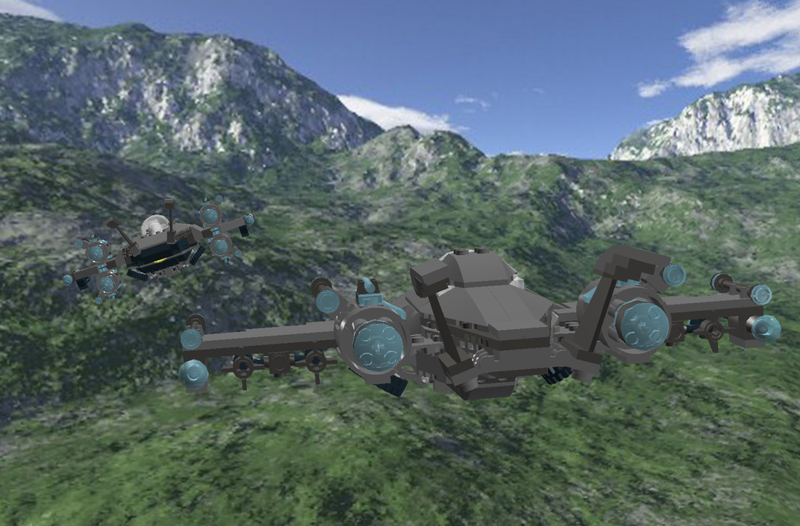 I forgot to add repulsorlifts, so you're stuck with the hated landing gear for now. 2. The original Star Phoenix won Soccergirl's Star Fighter contest two years ago, so the latest comes with mucho bragging rights. 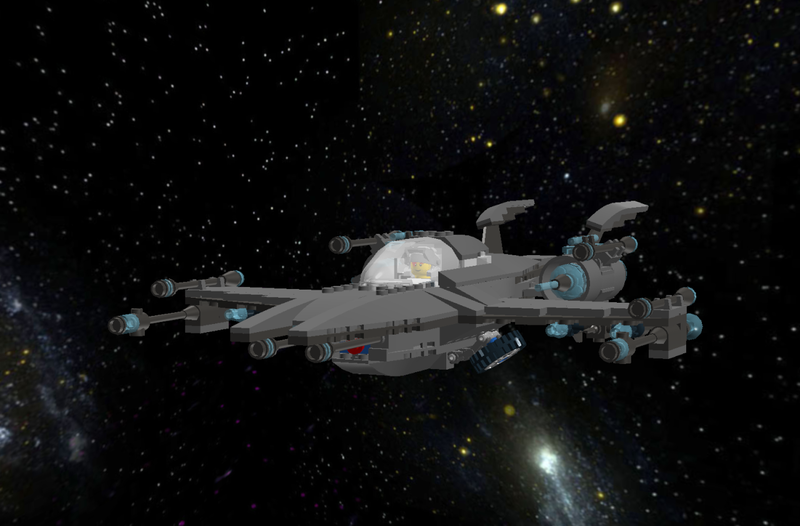 @Arik: Supreme Class Star Fighter, early Federation Star Fighter made by le me. My first "good" fighter, but compared to the original Star Falcon which really gave the Federation bragging rights, it is nothing. It's quite a fast fighter, but it is also heavy, and its technology is rather ouddated as well. Tho, those ray guns can be pretty scary in a dog fight, as they expand quickly, making them hard(ish) to dodge but also slow moving and short ranged. I'd say its current use in Star Force, if its worthy of it, is as a fighter bomber.